You've spent years (or decades) working on your genealogy. Now it is finally time to take all the data & put it together into a story that your relatives will want to read! 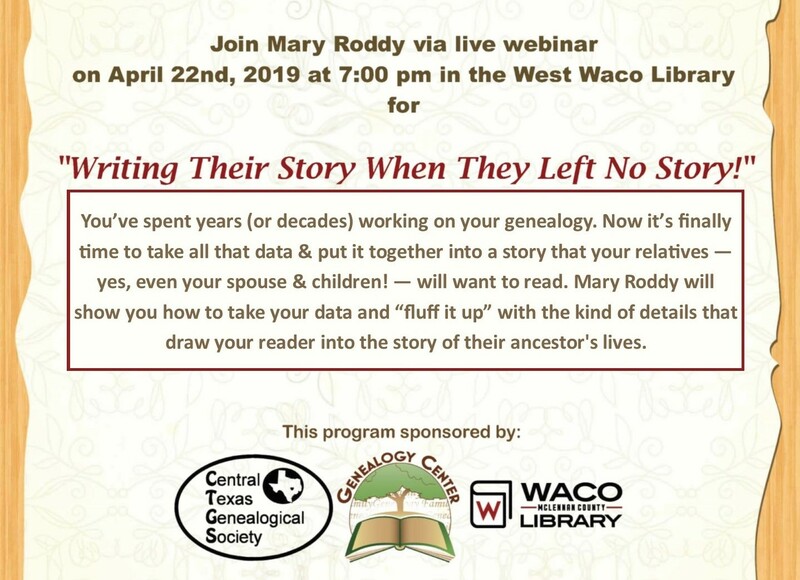 Mary Roddy will show you how to take your data and "fluff" it up with the kind of details that drawer your reader into the story of your ancestor's lives. 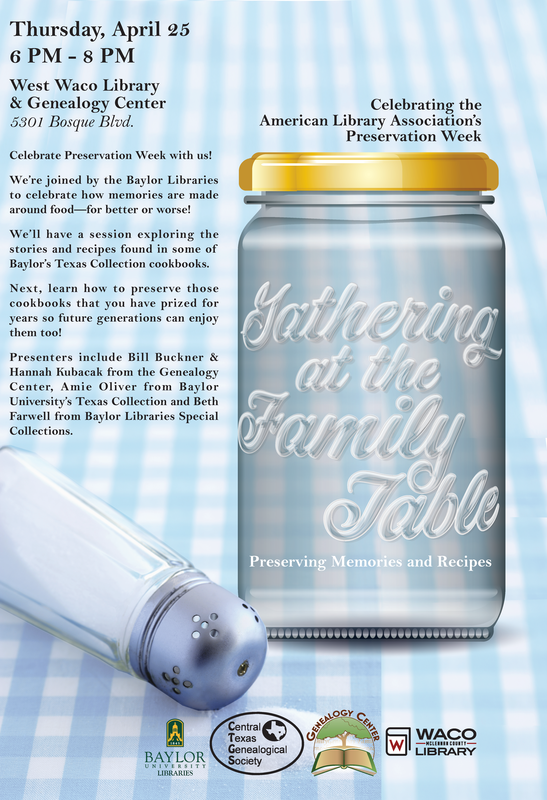 Join us for the American Library Association's Preservation Week. Baylor University Libraries, CTGS, and Waco McLennan Genealogy Center are bringing you a real treat! We will have sessions exploring stories and recipes found in some of the Baylor's Texas Collection cookbooks. We will learn how to preserve our heirloom family cookbooks. 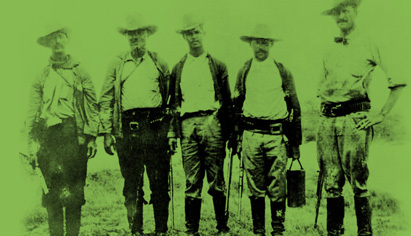 Presenters include Bill Buckner & Hannah Kubacak from the Genealogy Center and Amie Oliver from Baylor's University's Texas Collection and Beth Farwell from Baylor Libraries Special Collections.